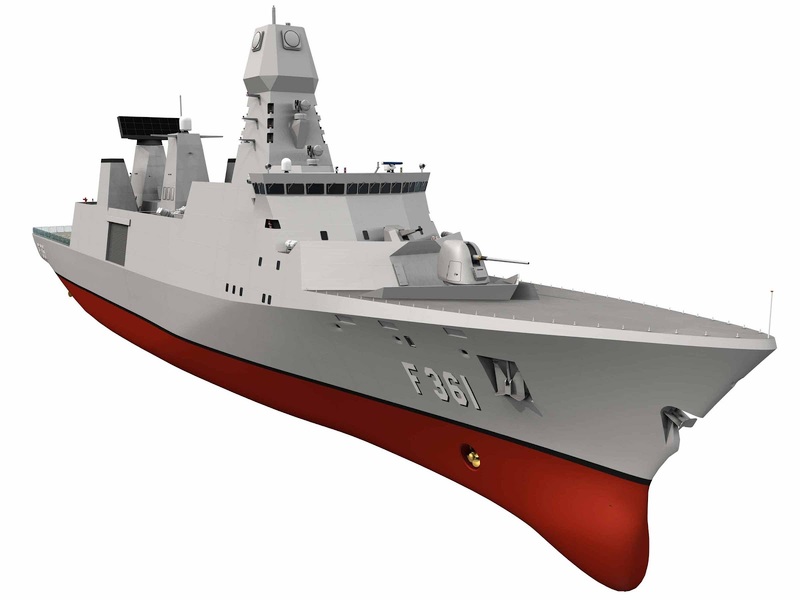 The Ivar Huitfeldt Class frigates are being built by Odense Steel Shipyard for the Royal Danish Navy. Three frigates are scheduled to enter service between 2012 and 2013. The class is preceded by Niels Juel corvette. 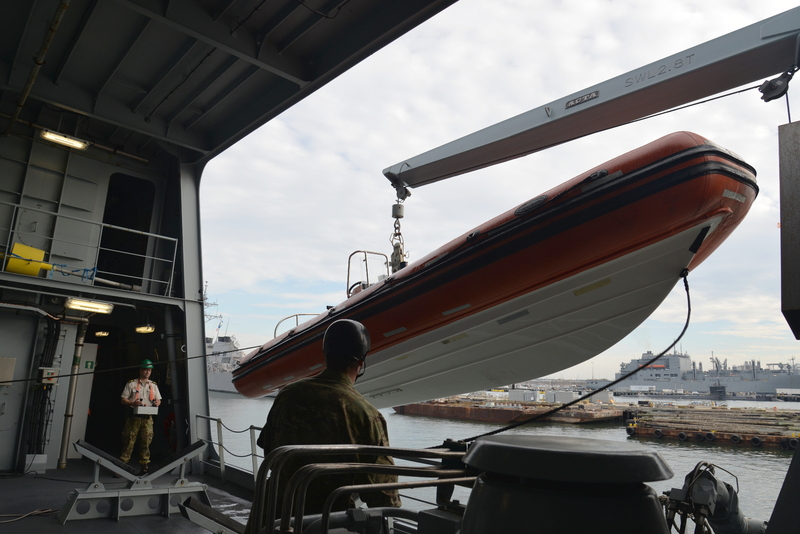 It is the navy’s largest acquisition project to date. The keel for the first ship in the class, Iver Huitfeldt (F 361), was laid in June 2008 and launched in March 2010. The frigate was transferred to the Defence Acquisition and Logistics Organisation (FMT) in January 2011 for testing. It is expected to enter operational service in 2012. The second frigate, Peter Willemoes (F362), was laid in March 2009 and launched in December 2010. The third and final ship, Niels Juel (F363), was laid in December 2009. The seven-deck monohull design features 15 watertight sections. It has been designed to reduce radar signature, infrared radiation, underwater noise and magnetic signature to make the ship as invisible as possible to an enemy. The Iver Huitfeldt Class design is an evolution of the Absalon Class developed by the navy and Odense Steel Shipyard (OSS). The exterior is easily distinguished from Absalon Class as the Iver Huitfeldt is one deck lower, and lacks an internal multipurpose deck (flex deck). The chimney’s design has been changed to prevent excessive steam impact of SMART-L radar. The design protects the crew from contamination. The frigate is divided into six hazard zones. All the zones are equipped with separate filters to protect the crew against chemical, radioactive or biological weapon attacks and airlocks are provided between them. The frigates are being constructed simultaneously in the same dock in a phased manner. The first phase includes assembly of all welded steel blocks into a ship platform, while civil equipment is installed by the shipyard and its subcontractors in the second phase. 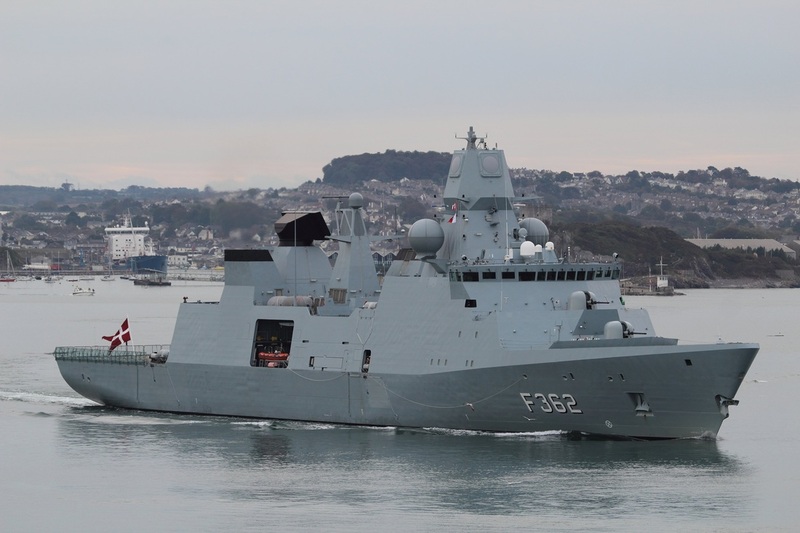 Following delivery from the shipyard, the frigates will sail to Naval Station Korsor where military installation work will take place in the final phase. 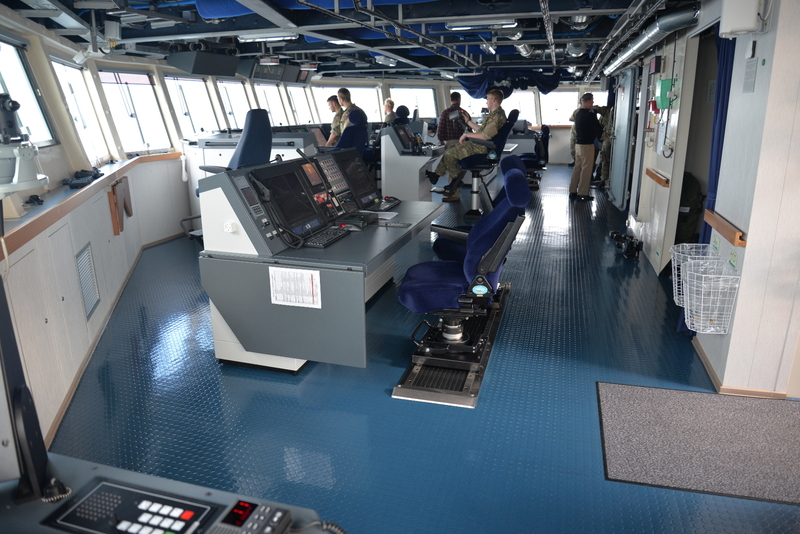 The frigates will be equipped with the Terma C-flex command and control system. The C-flex system integrates Commercial, off-the-shelf (COTS) units including a server, a console computer, an interface computer, a LAN switch and an UPS unit in an environmentally protected 19” rack. It is based on the T-Core open architecture platform. The C-flex receives information from ship board sensors and distributes the data to weapon systems after evaluation. 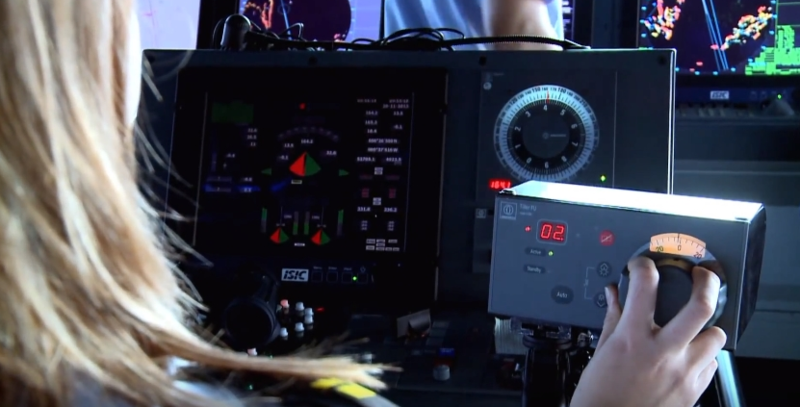 The computer creates an electronic image of the real-time situation around the frigate. 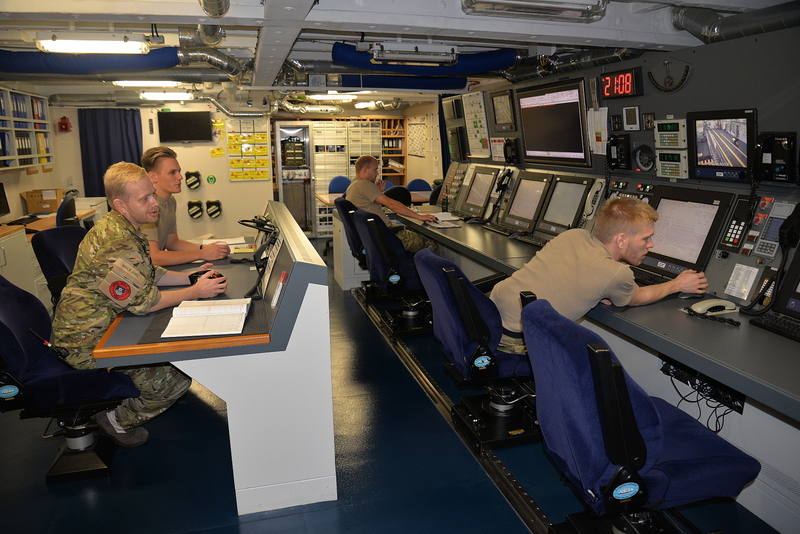 The frigate can exchange information with other units based at sea, air or land. The communications are conveyed through data links and other computer networks. The frigate will be fitted with Lockheed Martin mk41 multimissile vertical launch system (VLS) for the evolved Sea Sparrow missile (ESSM) and SM-2 IIIA missile. Primary Function: Surface-To-Air and Surface-To-Surface radar-guided missile. Contractor: Raytheon Missile Systems, Tuscson, Ariz. The mk41 system can fire anti-air, anti-submarine and anti-ship missiles. 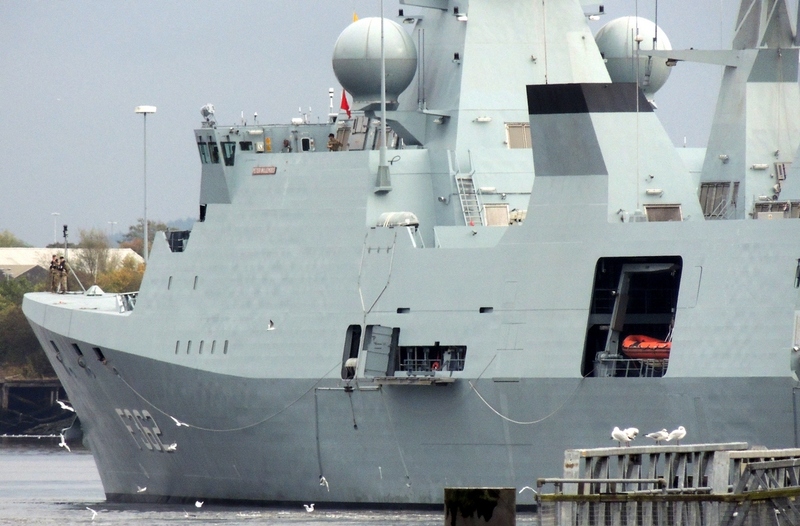 Ivar Huitfeldt will also be armed with the Boeing Harpoon block II anti-ship missile system and the Eurotorp MU90 lightweight torpedo fired from a twin or triple torpedo launcher. The Harpoon is an all weather, subsonic, over the horizon, anti-ship missile which can be launch from surface ships, submarines and aircraft. The Harpoon Block II is the latest version of the Harpoon missile and is able to strike land-based targets and ships in littoral environments. The Block II incorporated the GPS/INS guidance system of the JDAM bombs and the mission computer, software, and GPS antenna employed by the SLAM ER missile. The MU90/IMPACT Advanced Lightweight Torpedo is the leader of the 3rd generation of LWTs. Designed and built with the most advanced technology, the weapon is of fire-and-forget type conceived to cope with any-task any-environment capability requirements and meet the ASW operational needs of the 21st century. The frigate’s main gun will be an Oto Melara 76mm Super Rapid gun. 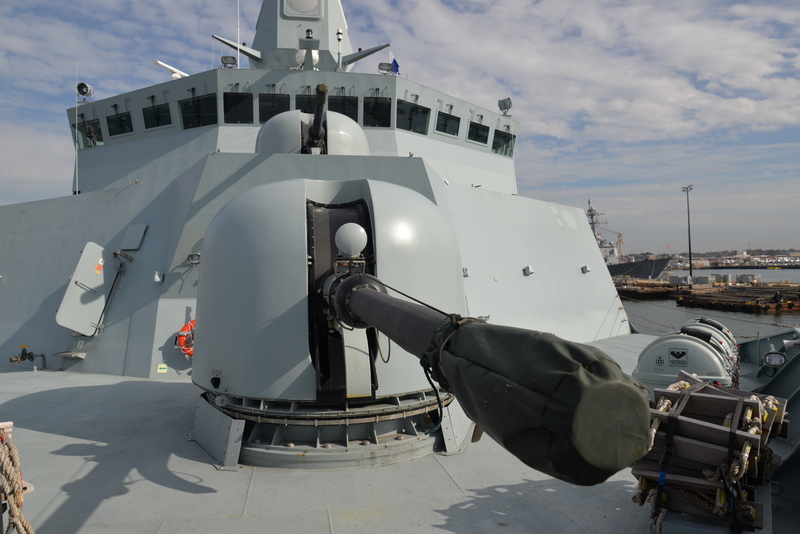 The Oerlikon Millennium 35mm naval gun system will onboard provide close-in air defence. It is based on the new Oerlikon 35mm revolver cannon land-based air defence system. 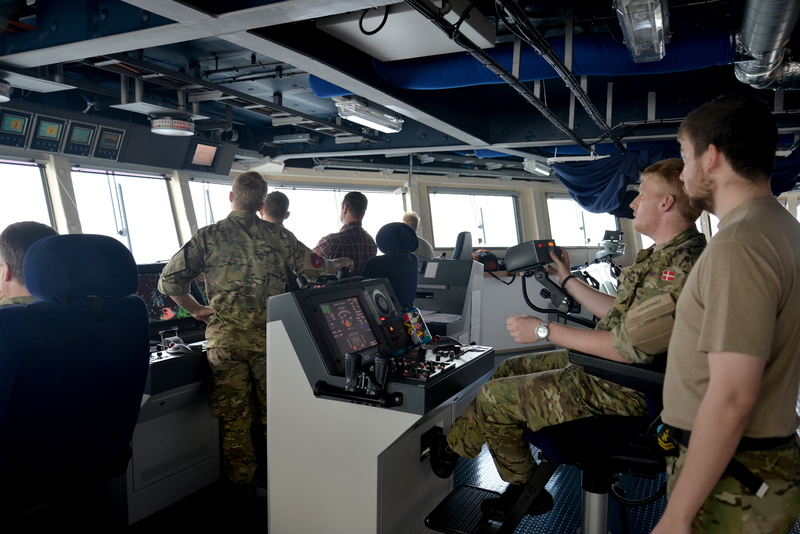 A 12.7mm machine gun will also be available aboard the ship. Oto Melara 76mm Super Rapid gun The revolving ready-ammunition magazine for one of the 76mm gun mounts. 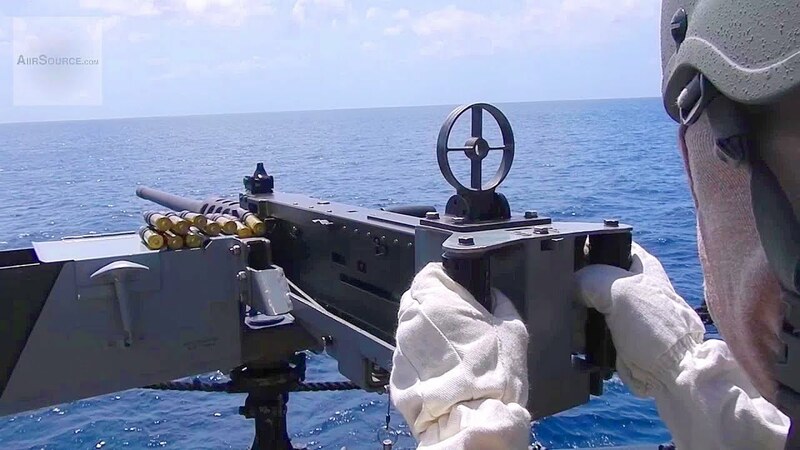 The Oto-Melara / Oto-Breda 76/62SR 76mm (3-inches) 62-caliber Super Rapid gun is a lightweight, automatic loading, rapid fire naval gun system used against shore, sea and air targets. Note: Weapon may be set to fire single shots, 200 rounds per minute or 1,000 rounds per minute. 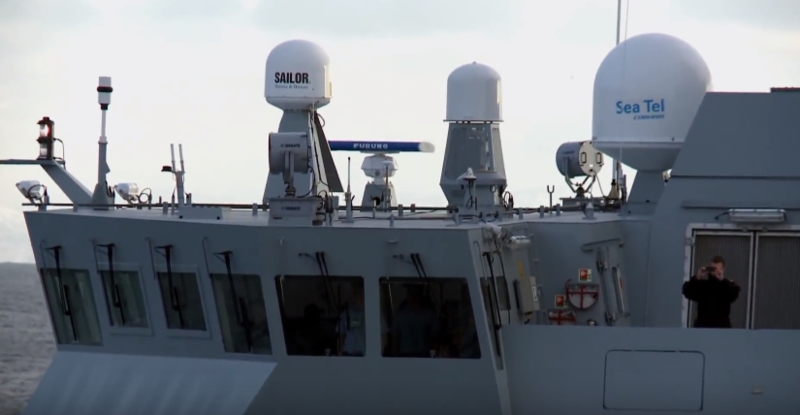 The sensor suite includes the SMART-L long-range surveillance radar, the APAR multifunction radar, Furuno navigation radar and ATLAS ASO 94 hull-mounted sonar. The SMART-L operating on L band will provide very long-range surveillance. Smart-L three dimensional radar This is a volume-search early warning long-range air search radar, which has been designed by Thales. It is a derivative of the smaller SMART-S, using an LW-09 solid-state transmitter. It uses an 8.2m electronically stabilized antenna scanning at 12 rpm to an elevation of 70 degrees. SMART-L provides range, bearing, elevation, and target velocity on each scan. Low observable targets can be detected at 55km and a conventional target beyond 100km. Maximum instrumented range is 400km. The ADT track file can carry up to 1000 air, 40 surface and 32 jammer tracks simultaneously. 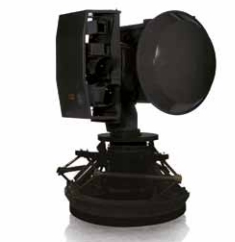 SMART-L is integrated with the Scout radar for surface surveillance. APAR (active phased array radar) The APAR (Active Phased Array Radar) by Thales contains four active phased array antennas with 3200 modules each, which together provide a 360 degrees azimuth coverage. Some other features of the system are multi-function capability, digital Doppler processing, digital pulse compression techniques, graceful degradation and flexible waveform generation. APAR operates in I/J-band, which makes the radar an excellent sensor for the detection of sea-skimming missiles. The APAR system has one main waveform generator, plus two additional waveform generators to provide missile guidance links and target illumination in the terminal phase of engagement. Each array can generate up to four beams for 16 simultaneous engagements and 30 SM-2 and ESSM missiles in the air. Instrumented range is 150km in air search and 75km horizon search with elevation coverage up to 70 degrees and a capacity to handle 250 tracks. Other subsystems include ATLAS ASO 94 hull-mounted sonar, FLIR system Seastar Seafire III, Saab CEROS 200 fire control radars, and EDO 3701 electronic warning and assessment system. platform types. The CEROS 200 provides reliable performance even in cluttered environments and is highly resistant to the latest jamming technology. 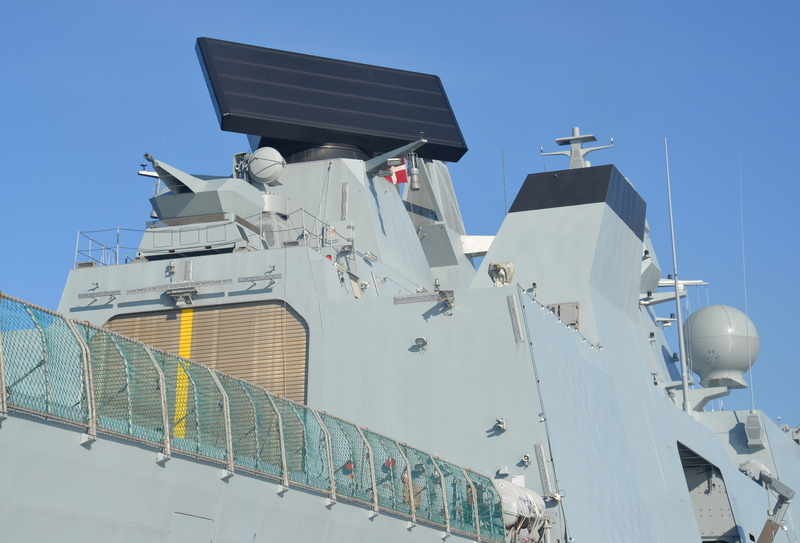 The system can also be combined with the 9LV Gun Fire Control and SAM modules, providing precision control for any naval gun or a semi-active SAM missile system. 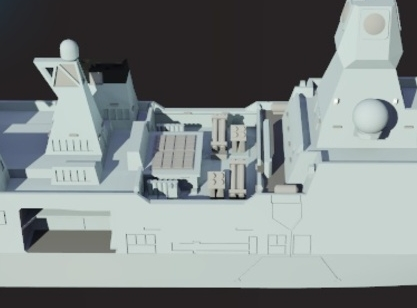 The Iver Huitfeldt frigate will feature a helicopter deck and hangar to support the operations of medium-sized helicopters such as the AW101. 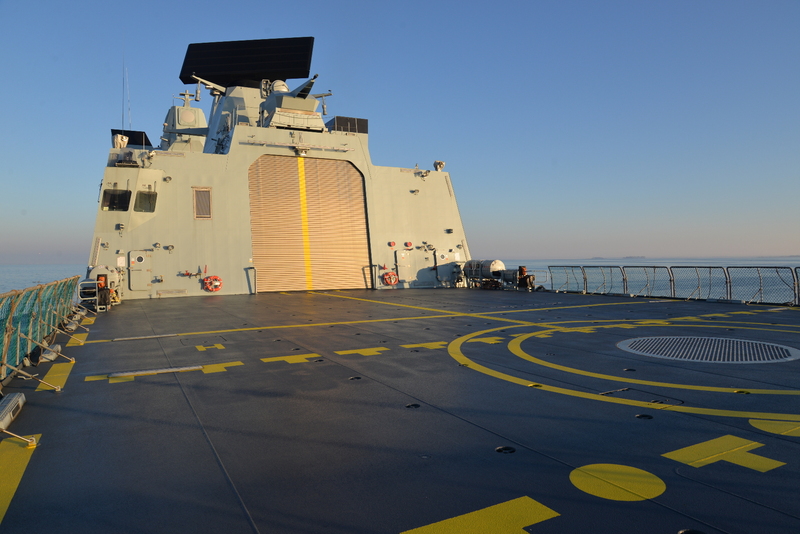 The deck can also handle larger and heavier helicopters of up to 20t. 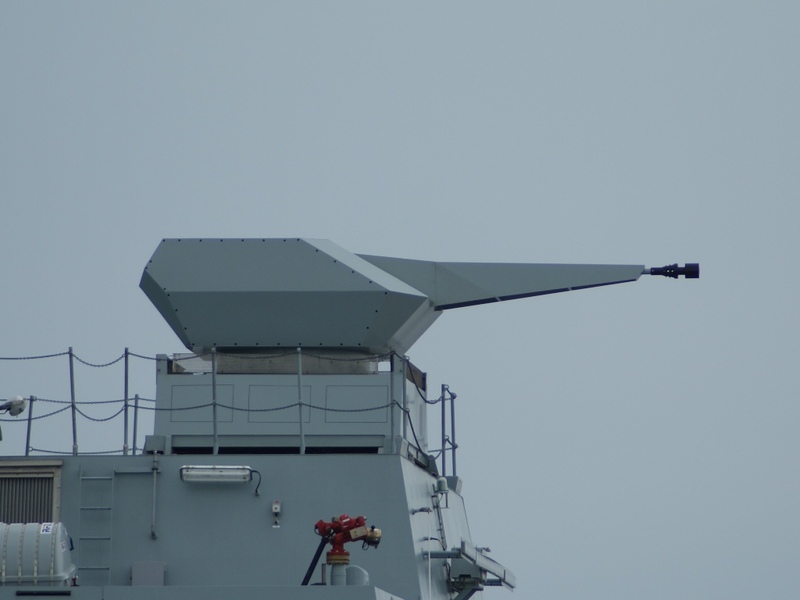 The frigate will be fitted with 12-barrelled Terma DL-12T 130mm decoy launchers. Terma SKWS (soft kill weapon system) is a modern decoy-launching system that can fire SeaGnat decoys. 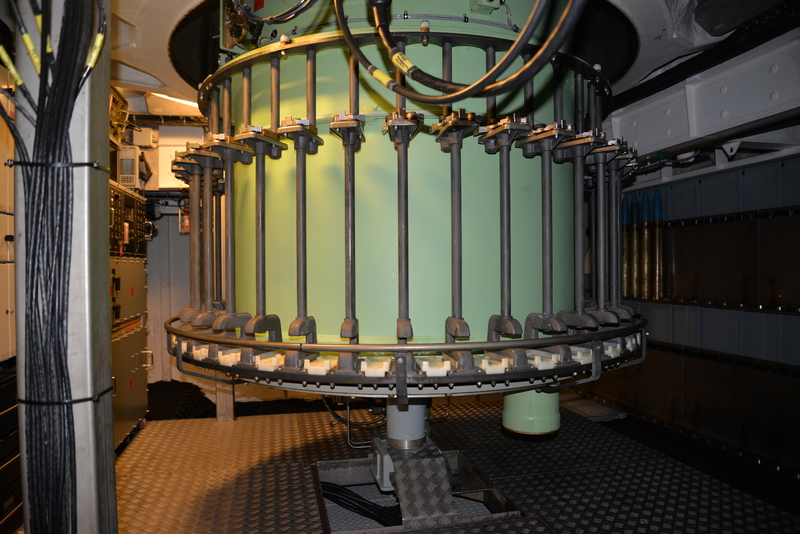 The Terma launcher provides 360° coverage against incoming anti-ship missiles. management division of 20 (two officers, four sergeants and 14 privates). 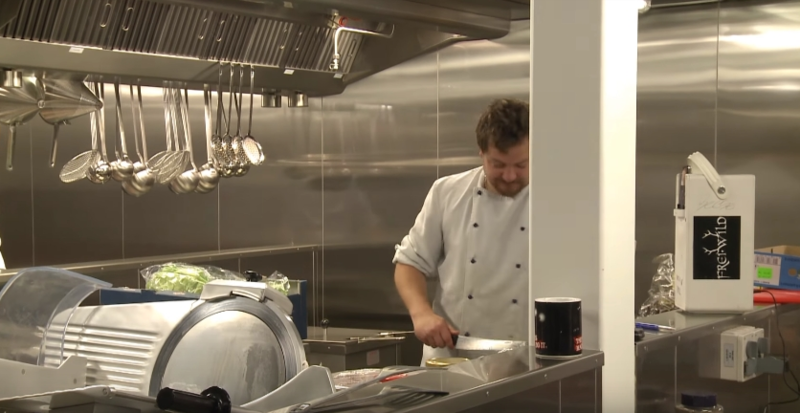 Each frigate will have berths for 165 people, hence small staff, helicopter crew, doctors, students and trainees are accommodated. 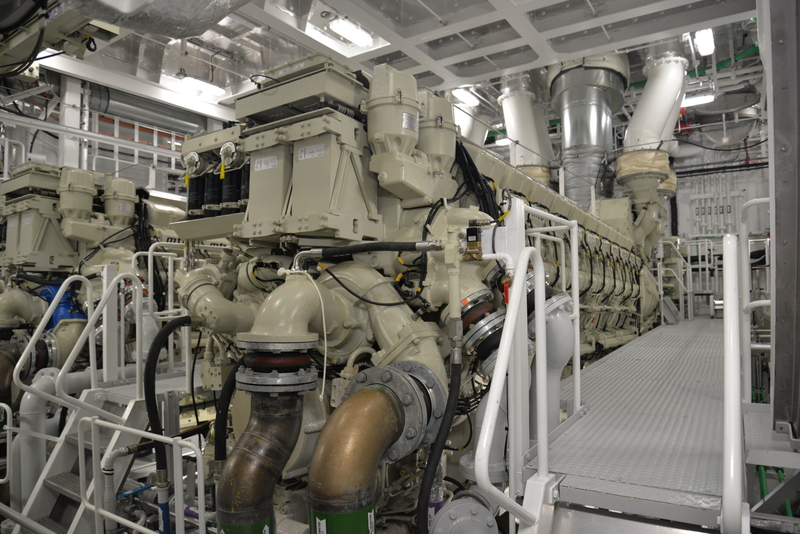 The frigate will be powered by four main MTU 20V 8000 M70 diesel engines, placed two and two each, in a combined diesel and diesel configuration. The propulsion system will provide a speed of over 28kt. The ship will be equipped with two Becker rudders and a bow thruster with an output of 900kW. 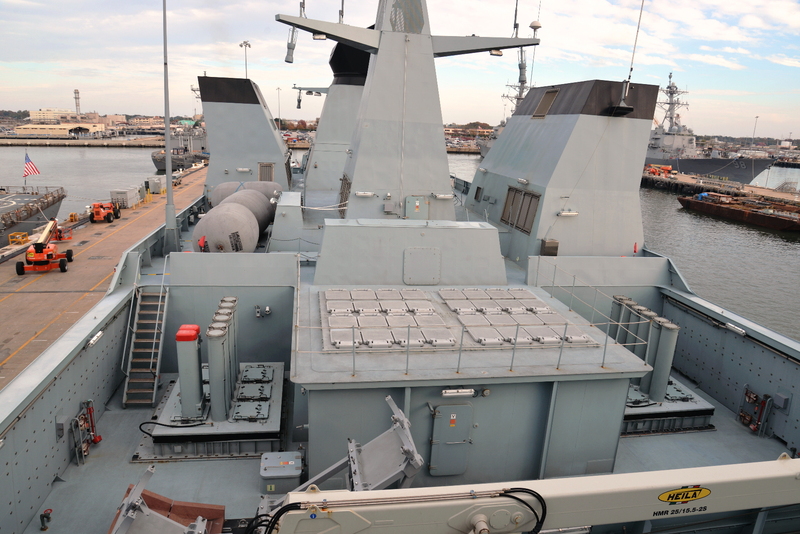 A set of active stabilisers will provide stability to the frigate. 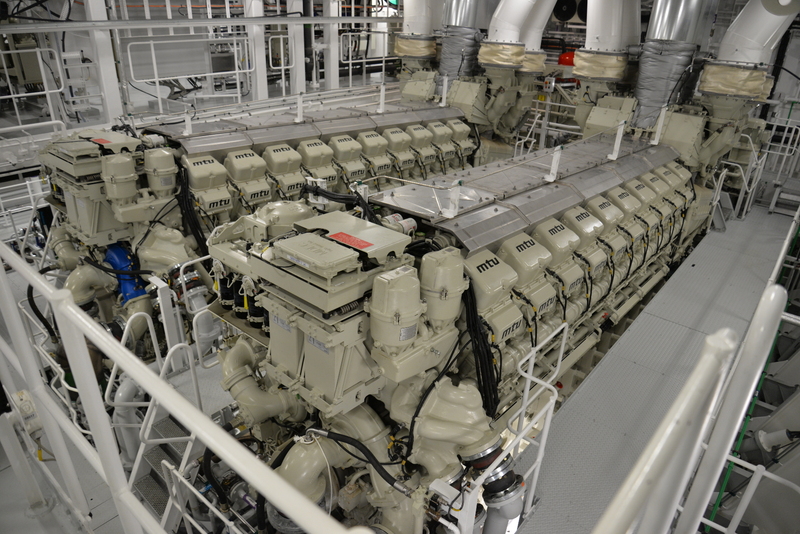 Four generating sets comprising two Caterpillar engines and Leroy-Somer generators will be provided. Each pair will include a CAT3512 and CAT3508 generating 1,360kW and 920kW respectively. This entry was posted in Uncategorized on January 18, 2016 by nonothai.